In pre-Columbian times the Maya and Aztecs revered chia seeds for their amazing energy and natural healing powers. One tablespoon of the seeds was considered capable of sustaining a warrior for 24 hours. 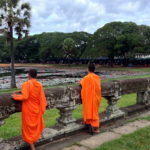 A component of both societies diets, the ancient grain played a prominent role in religious ceremonies, too. Today, chia is the force behind the famous long distance runners, the Tarahumara Indians of Mexico’s Copper Canyon. Chia seeds come from the desert plant Salvia hispanica, a member of the mint family, which grows in North and South America. 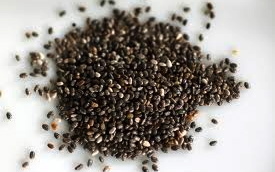 Consumed as early as 3,000 B.C., chia seeds were eaten as a grain, mixed with water, ground into flour, mixed into medicines, and pressed for omega-3 oil. As anyone who has followed my capricious dietary peregrinations since the start of this site knows, these extraordinary seeds offer a complete nutritional profile of omega-3, balanced dietary fiber, complete protein, antioxidants and minerals – chia really is one of the world’s healthiest whole foods. 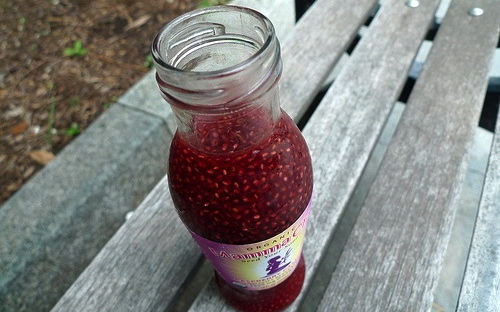 Now along comes Mamma Chia, a new all-organic beverage pairing chia seeds, fruit juice, and a light touch of agave. With flavors like Blackberry Hibiscus, Cherry Lime, Raspberry Passion, Coconut Mango, and Pomegranate Mint, it’s official: chia has gone mainstream. Which is a good thing, really, because I’m addicted to the funky viscosity of these little super seeds.